90 Day Fiance: Before the 90 Days star Paul Staehle has just decided to remove all of his social network posts on Twitter. He has been dealing with a lot of criticism from fans before removing his posts on Twitter. He also made his Instagram and Twitter private. His new bride, Karine Martins, just came back online after months of going dark online. Paul seems to be blocking anyone that is too negative. Paul and his wife Karine Martins have been through a lot lately. She had two miscarriages and now they are finally pregnant with a healthy baby boy. With the removal of his Tweets, Paul Staehle of 90 Day Fiance has gone quiet and turned his account private. It is being assumed that Paul and Karine might have needed a break from social media. This idea makes total sense seeing all they have been through and what a hard time people give them. Paul and Karine have had their fair share of problems. When she got pregnant the first time, he wanted a DNA test right away. Paul Staehle admitted that his wife had been messaging other men. This made him really wonder about if he was the only possibility to be the father. Karine Martins did say any guy she messaged wasn’t close to them. 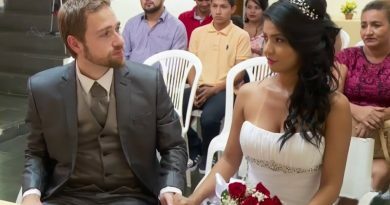 There are pictures online of Karine with another man, so this could be another reason the 90 Day Fiance star was concerned. Paul Staehle told Soap Dirt that his number one priority right now is family. 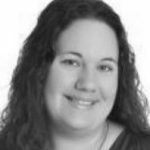 He wants to make sure that none of the social media noise messes up Karine’s K-1 Visa process. Keeping social media trolls from using his profile against him might be why he’s gone dark. It turns out that Paul Staehle and Karine Martins will not be coming back to any of the 90 Day Fiance shows. TLC made the decision. Paul shared the news on his Instagram page that TLC decided not to bring them back next season. It does sound like the couple wanted to stay on the TLC show, but It looks like Paul and Karine are doing just fine. Maybe his social media activities influenced this decision. It also looks like they have an interview for Karine Martins to see about getting her Visa. Hopefully, they will be able to work it out so they can be together all the time when the baby is born. There is still a chance that the couple could decide to stay in Brazil full-time if it doesn’t work out. Paul Staehle is very close to his mom so living in another country might not be his first choice. Check back with Soap Dirt often for the latest news on 90 Day Fiance. Reality TV is my first love when it comes to writing. I am addicted to everything from "The Bachelor" to "Counting On." I grew up watching "General Hospital" with my mom and once I started working from home found a love for it again and can't miss an episode. I have been freelance writing for ten years and I am thrilled to join the team at Soap Dirt! 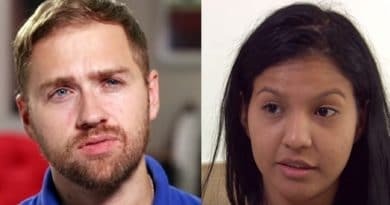 ’90 Day Fiance’: Paul and Karine Planted in Brazil for Good with Baby Pierre?